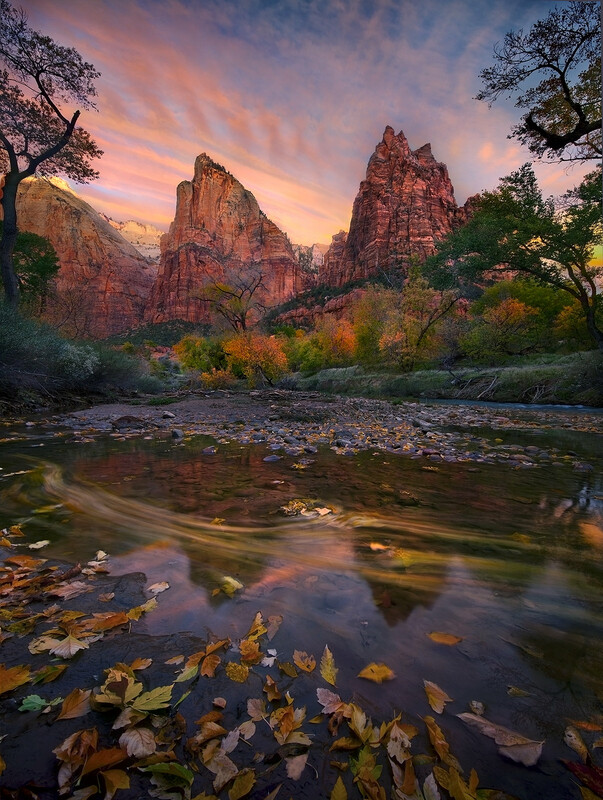 A rich blend of Autumn colors and sunrise glow in Zion National Park, Utah. Leaves streak by across the water below. Photo © copyright by Marc Adamus.